Ultra-waterproof lighting which can be submerged in a pond or pool. None of these lights are called James, more's the pity, but they will provide reliable and rugged lighting for your garden's water feature. 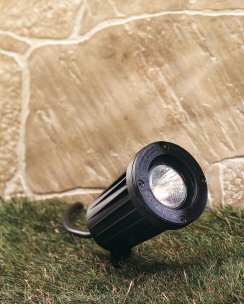 All our outdoor lighting is appropriately rated for use in exposed environments. Please consult our IP Rating Guide for more information.